So last night the hubs and I had a date night out to see The Phantom of the Opera. (Hence the reason why this is up so late. Between a later night and taking care of kids all morning, I just haven't had time to sit down and write until now.) Going to see The Phantom on stage is something that I have wanted to do for some time now and when I saw it was coming to town I thought this was the perfect time to go. We go make it our Valentine's Day plans and have a much needed date night. When we first made the plans to go I was still in the knee brace but I wasn't exactly sure if I could sit for that long with my knee bent but I was willing to risk it. Luckily it didn't turn out to be an issue other than a little sharp knee pain about halfway through. We left the kids with Grandma and Papa and headed on our way downtown. We grabbed some Arby's on the way - yes we really know how to live it up - and started the rush hour drive downtown. We left about two hours before the show since we had no idea how traffic was going to be nor exactly where we were going. We found a parking garage downtown and after getting inside decided this wasn't the one we wanted to be at and left quickly enough that we owed nothing. We got ourselves sorted out and found the right parking garage. We paid and headed up towards the Music Hall. We waited a bit before they started seating. We decided to pay a little more and got tickets on the orchestra level. We were in the back and on the end but still awesome seats all the same. Then it started. And I loved it. I grew up listening to the soundtrack and I have seen the movie, but this was so amazing to see it in person (and I loved it a lot more than the movie). It was definitely worth it (plus I'm never going to turn down anything that gives us kid free date time). We had a great time. 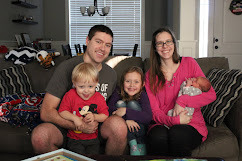 We were definitely drained when we got home and crashed right away (turns out being a parent doesn't just stop and we have to get up and do it all again). Going to see The Phantom on stage is something that has been on my life list for a long time so it was amazing to be able to cross it off. And it was truly amazing. I highly recommend going to see it if you ever get the chance.